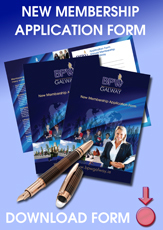 Currently there are four regional BPW Clubs which feed into BPW National. The Galway and Sligo Club on the West coast service the western seaboard. 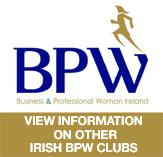 The Tullamore Club located in the midlands services Leinster and Dublin BPW Club which services Dublin City and the east coast. Monthly meetings take place at a regular venue where each club follows a format of an ordinary general meeting, which addresses procedural and housekeeping matters on a monthly basis followed by a Guest Speaker. 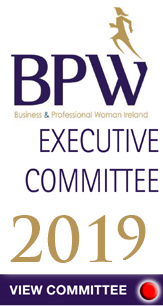 This format has been maintained since the establishment of the organisation and allows the BPW members access to a various array of information on a relatively informal basis. 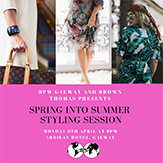 Such speakers in recent times have included the Data Protection Commissioner, a representative of Christies with advice on purchasing artwork, Senator Mary White on the establishment of her business Lir Chocolates and the City Council Manager at Galway Club who advised in respect of regional infrastructure. The great variation in content and calibre of people who feed into BPW not only allows for expansion of the mind but also expansion of our contact base. Annually each BPW Club holds a candle lighting ceremony in February. The significance of the candle lighting is to remember that each Club is not a stand alone unit but part of an international organisation founded by women for women. BPW National is also responsible for the Annual Public speaking competition for school girls. The competition has run now for many years and provides an excellent opportunity for young school girls to develop their public speaking skills before a group of varied individuals who are in the best position to give advice in relation to such skills. The competition runs on a North / South basis, with the winner of the south national competition competing against the northern teams usually comprising three schools on each part, for the North South award. 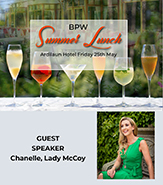 BPW members and friends see the BPW competition as an opportunity to give something back, which is what BPW is all about.